SVN | Southgate Realty, LLC is Hattiesburg, Mississippi’s only globally affiliated commercial real estate brokerage. We take a great deal of pride in our ability to showcase our Mississippi communities to investors around the world. For over 37 years, we have combined our local heritage with industry leading standards. As a result, this creates value for our clients with each real estate assignment. Thank you for letting us share our history with you. To begin, Southgate Realty Management Company was founded in 1980 by Eugene Carothers. 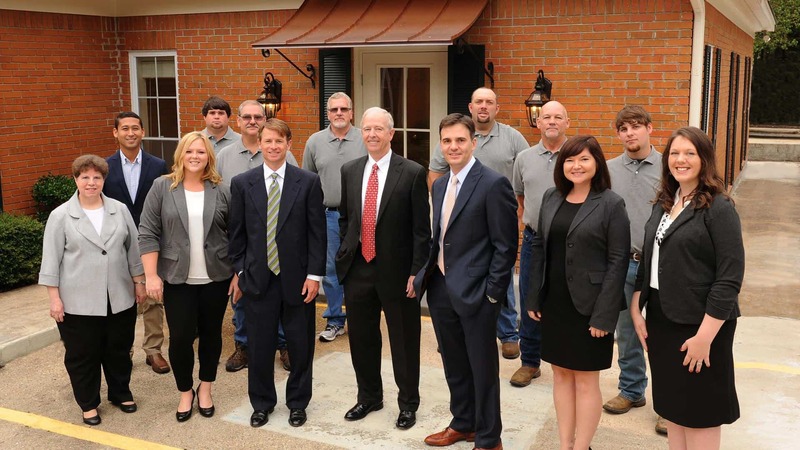 It was founded for the purpose of managing multifamily properties throughout Mississippi. Gene Carothers wanted to provide a higher level of service to both multifamily ownership and tenants alike. As a lifelong resident of Mississippi, Gene wanted to apply the highest asset management industry standards to local apartments. Gene’s vision was greatly advanced early on by local commercial real estate investor, Dr. Bennett V. York. Dr. York shared Gene’s passion for Mississippi and philosophy of long-term investment. Many of the properties managed were developed by Bennett V. York with the assistance of Gene Carothers. Consequently, the communities developed have always been constructed with long-term maintenance and ownership in mind. Moreover, as Southgate continued to add well-developed and strong-performing multifamily communities to our portfolio, our reputation as an industry leading property management firm began to gain regional recognition beyond Hattiesburg, MS. Southgate had properties in Gulfport, Hattiesburg, Oxford, Horn Lake, Southaven, and Memphis, TN. As a result, Southgate began managing more and more retail and office space for new owners and developers. In 1999, Gene Carothers earned the prestigious CCIM designation for his demonstrated extensive experience in the commercial investment real estate industry. In 2000 Gene Carothers, CCIM formed Southgate Realty, LLC, a Mississippi limited liability company. During early 2003, Gene’s son, Chamberlan Carothers, CCIM, CPM, joined the Southgate Realty, LLC team. By 2016, Southgate Realty, LLC had developed strong commercial real estate relationships across Mississippi. We also incorporated industry leading education and accreditations into our team with CCIM, CPM, ARM, and CLP designees. In addition, we held leadership rolls within the Institute of Real Estate Management, MS Apartment Association, and Home Builders Association of MS. However, Southgate Realty, LLC still wanted to provide our clients with a higher level of service. Moreover, we wanted to provide the best technology platforms available to show the real estate investment opportunities South Mississippi has to offer. In 2016, we combined over 37 years of local market insights with the global commercial real estate reach of SVN to give our clients the greatest knowledge and exposure available. SVN | Southgate Realty, LLC has committed a substantial amount of resources to developing our infrastructure, including the creation of a custom training curriculum, and property management manuals for continued employee development. Today, the SVN | Southgate Realty, LLC property management portfolio consists of 17 apartment communities. These communities contain 856 units, 3 office buildings and 3 shopping centers. SVN | Southgate Realty, LLC managed properties have consistently been recognized by both the Home Builders Association of MS and the MS Multifamily Council as industry leaders in development and management. Furthermore, our flagship apartment community, The Lakes at Turtle Creek Apartment Homes, has been voted the best multifamily development in the state of MS for the last six years. In addition, we invest heavily in advanced marketing. By doing this, we offer our clients opportunities they can only get from SVN | Southgate Realty, LLC. Our multifamily clients in Hattiesburg have their properties featured on the market leading online source for apartment rentals. Pulling all of our apartment communities together allows us to capture more prospect traffic directly and then have the prospect only focused on SVN | Southgate Realty, LLC properties. In conclusion, beyond networking opportunities, designations and new technology, the heart of SVN | Southgate Realty, LLC is our people. We have some of the market’s most established commercial real estate specialists working as part of our team. Bringing together the combined insights and skill-sets of each team member creates an investment real estate knowledge base that is unmatched by competitors. We know that every employee has a contribution to make in covering all facets of commercial real estate. In addition, we bring our Brokerage Specialists together with our Asset Managers, Maintenance Supervisors, On-site Property Managers, and Apartment Developers to evaluate the full cycle of our client’s investment goals. Our commitment has enabled SVN | Southgate Realty, LLC to manage commercial investments and successfully execute brokerage services for clients, large and small, for almost 40 years.